Modern kitchens are for living in and enjoying, Corian® helps to deal with the daily wear and tear of this much loved room superbly. The beauty of Corian® is that even if marks and cuts do show up from time to time they can be polished out with ease. Corian® is non-porous so any marks, stains or liquids remain on its surface and so can be easily removed. Corian® is used extensively in hospitals so it's perfect for use in the kitchen too. 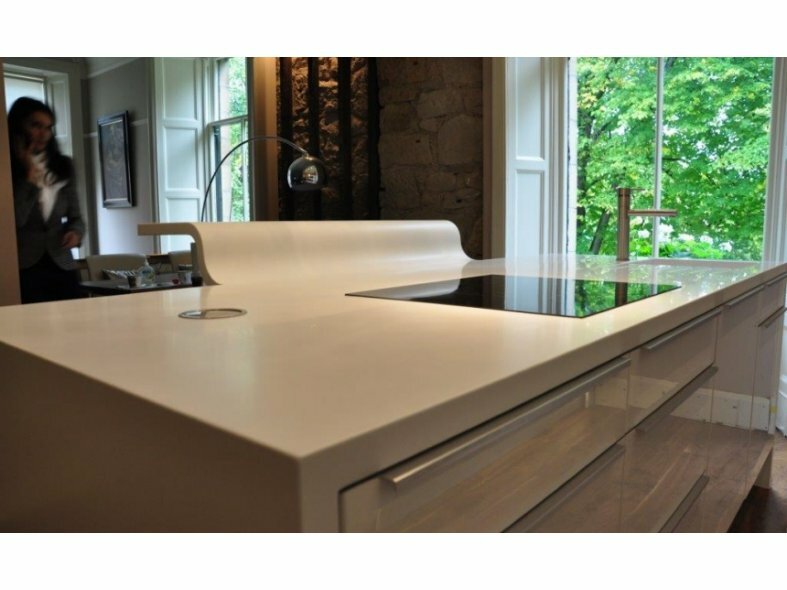 Corian® benefits from being made from acrylic which means that it is UV stable and will not fade over time. 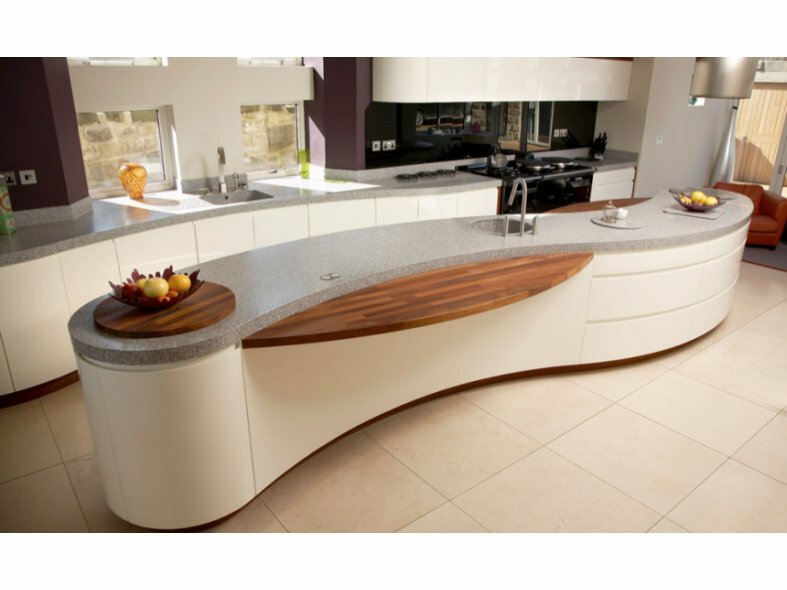 Corian® can be thermoformed and so can be heated and shaped into an unbelievable array of curved shapes, including kitchen doors and drawers. Above all Corian® looks great! A multitude of colours allows for a wide range of creative choices and because Corian® can be jointed inconspicuously an extensive range of combinations can be used. A choice of matt or high-gloss finishes can be chosen according to individual taste. Make Corian® kitchen sinks and vanity bowls integral parts of your Corian® surfaces. 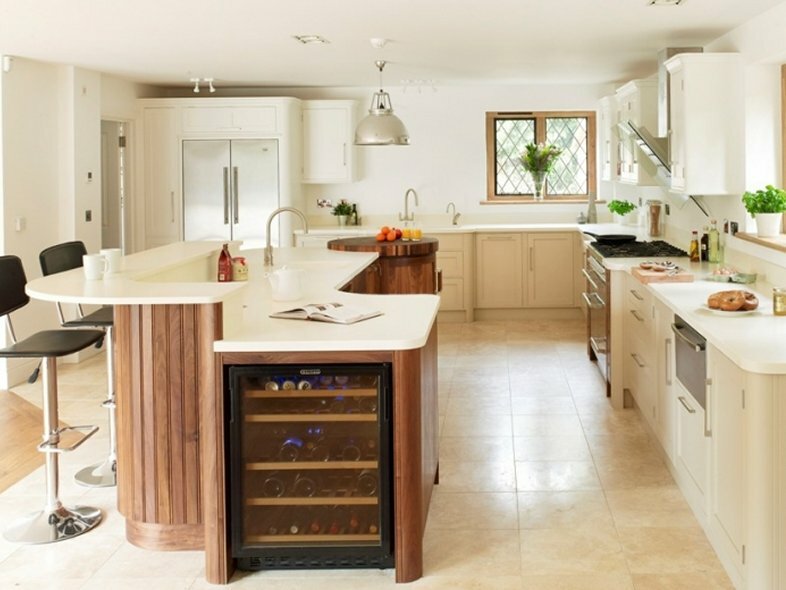 Corian® not only provides a sensational look, but is highly practical. With the non-porous nature of Corian® there are no open sink joints or seams, so you spend less time worrying about dirt, stains, germs and mildew. The ability to create an entire, continuous surface in Corian®, incorporating sinks or bowls, is a main advantage. Seamed undermounting techniques eliminate rims that could trap dirt and water, and so minimise cleaning and maintenance. Due to the ease of installation of single or double sinks or a series of units, it is possible to design spaces that respond to the criteria of practicality and multiple use, alongside individual aesthetic values. CD UK's superb Fontana sinks combine DuPontTM Corian® with the highest quality stainless steel offering endless possibilities for the kitchen. Fontana sinks are hygienic and easy to clean, with the stainless steel base easily withstanding boiling liquid and hot pots and pans. 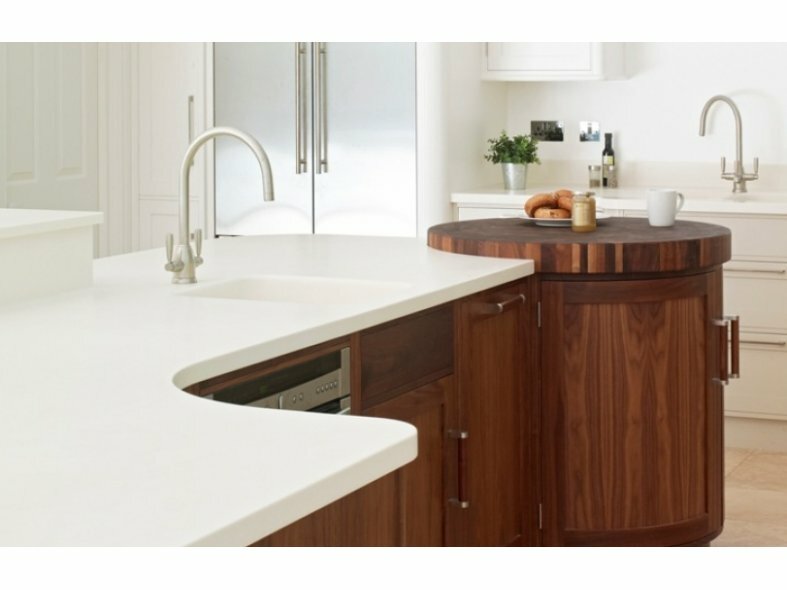 Fontana sinks are available in the entire Corian® kitchen colours, and the sink can be integrated into a matching Corian® worktop for the ultimate contemporary kitchen style. Corian® offers a high quality end-product that looks great and stands the test of time, all at affordable prices.